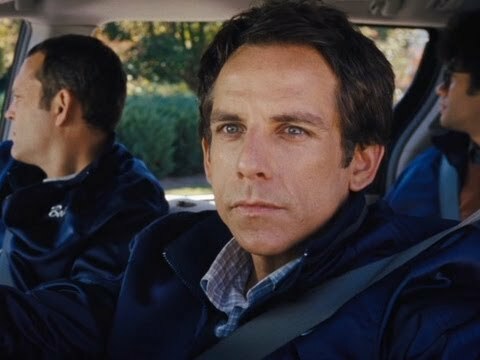 'The Watch' movie quotes include the funniest lines from this 2012 comedy movie starring Ben Stiller, Vince Vaughn and Jonah Hill. In the film, this group of suburban neighbors decide that they'll form a neighborhood watch group to keep an eye on things (and get out of the house once in a while). Things take a hilarious turn when they're forced to defend the neighborhood from alien invaders. See a favorite quote from 'The Watch' listed? Vote for it! And if your favorite Watch movie quote isn't listed, add it. Things are kind of boring in suburbia for Evan (Stiller), Franklin (Hill), Bob (Vaughn) and Jamarcus (Richard Ayoade). Nothing interesting ever seems to happen. To get out of the house, these guys decide that once every week, they'll patrol the neighborhood to keep things safe and quiet. At first, everything's fine. Then? All heck breaks loose when the gang realizes that aliens are planning to invade the world -- and it's up to them to keep everyone in their area safe. Are their neighbors really alien beings bent on doing harm? 'The Watch' also stars Rosemarie DeWitt, Will Forte, Billy Crudup, Nicholas Braun and Doug Jones. 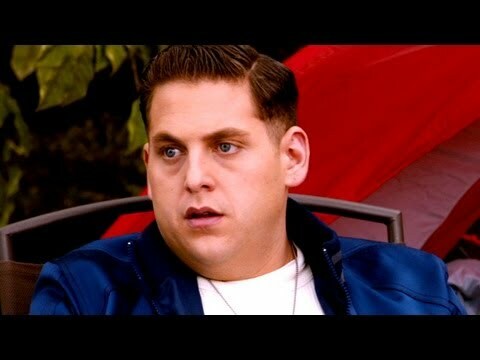 Franklin: "Look at his face." Evan: "Look at my face." Franklin: "Look at his face and listen to me." Evan: "Look at him and listen to me." Franklin: "Look at him and understand me...Look at both of us but understand no one. Listen to my words and hear his face." Franklin's Mom: "Franklin, what are you doing? Who are these people?" Franklin: "D**n it mom, stay out of my room!" (whispers) "Sorry...I was trying to impress my friends, I was trying to be a big man. I love you." Poor Franklin. He decides to join Evan's neighborhood watch group after he's rejected from the local police department. He also still lives with his mom. Emotional issues -- definitely emotional issues. Neighbor: "What are you doing in my yard?!" Evan: "We're the neighborhood watch. We're just wondering if you heard anything strange..."
Jamarcus: "Nice to meet you!" If the neighbor in this clip looks familiar, he should: That's veteran actor R. Lee Ermey, aka Sgt. Hartman from 1987's 'Full Metal Jacket.' And he's not happy about the guys being on his property. And he's armed. Time to leave. Evan: "Check her out. It's like she's studying some new discovery, some bizarre, human, circle fruit." (Elderly woman sniffs a grapefruit) "Should I put it in my flavor snout?" The guys quickly realize that aliens might be living among them in suburbia. They decide they'll try to figure out their identities by studying them. And where is the best place to study suburbanites? That's right: Costco!